We have prepared an intimate exhibition featuring current works by the remarkable painter and glass-artist, Vladimír Kopecký (*1931, Svojanov). He was a student of renowned artists such as René Roubíček, Stanislav Libenský and Josef Kaplický. Kopecký began his career as an artist in the 1950s contributing to the phenomenal success of the Czechoslovak pavilion at EXPO 58 in Brussels. Vladimír Kopecký’s first solo exhibition of his paintings was held in 1970 in the Václav Špála Gallery in Prague. For a long time this was the last public exhibition prepared by the significant Czech art theoretician Jindřich Chalupecký. Vladimír Kopecký’s artistic creation involves a variety of approaches: the author can be classified as both a gestural painter as well as a geometric abstractionist, yet he is an integral part amongst glass artists. It is in this broad “stylistic” and material span and in the unbelievable artistic invention where Kopecký’s strength resides. 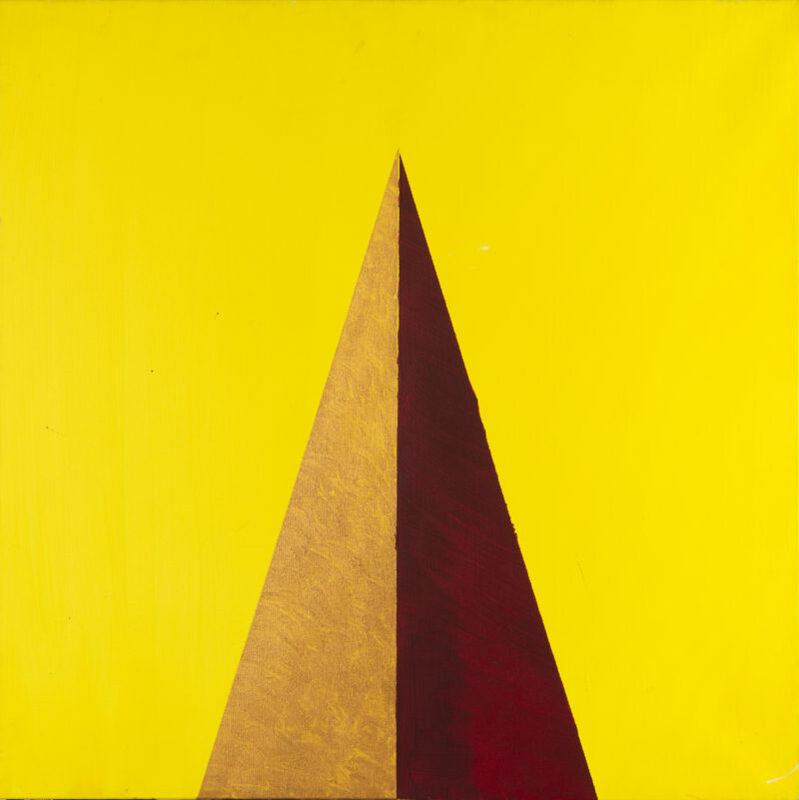 Museum Kampa introduces a collection of works from the last two years, principally a cycle of almost minimalistic paintings with the central motif being the triangle of which the shape changes optically depending on a particular colour combination. Kopecký’s painting expression is quite austere in this respect, as he lets the motif stand out to the fullest. The triangle is one of the essential construction elements in the history of art: by its use, through the receding of the connected lines towards the horizon, artists constructed space. On the symbolic level, it represents a spiritual hierarchy. The triangular composition has also been often used in both ancient and modern art. All these meanings are present in a latent form in Kopecký’s coloured surfaces. Their opposite is a huge, almost monochromatic drawing showing Kopecký in the position of a great artistic gesture. The collection is completed by the above mentioned “spatial glass drawing” created specifically for this space.